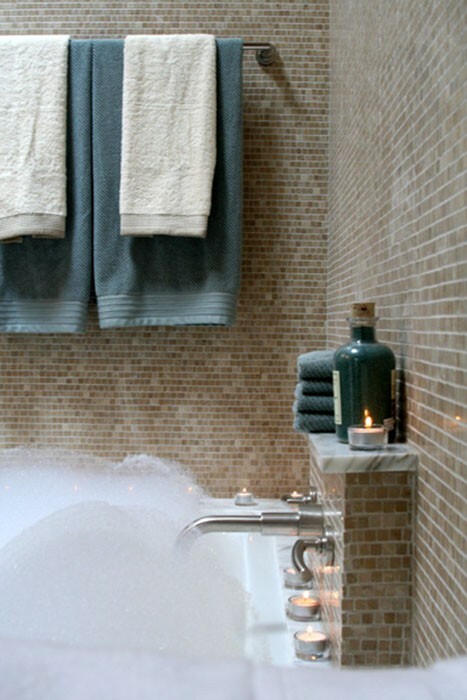 Eighties tract home Master Bath evolves into a coastal spa retreat. 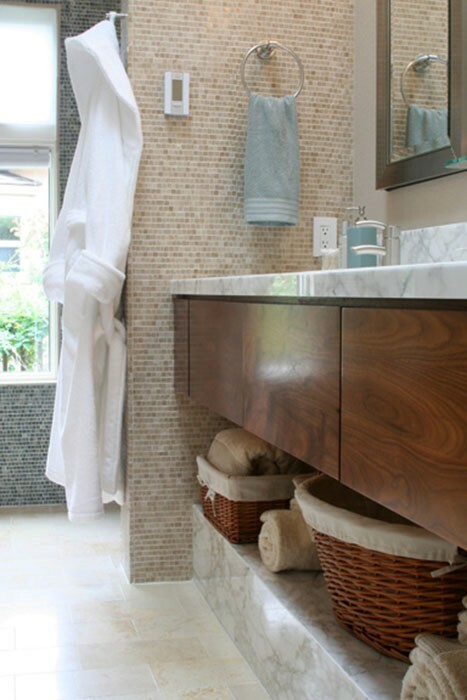 The wall-to-wall vanity floats above a marble ledge. 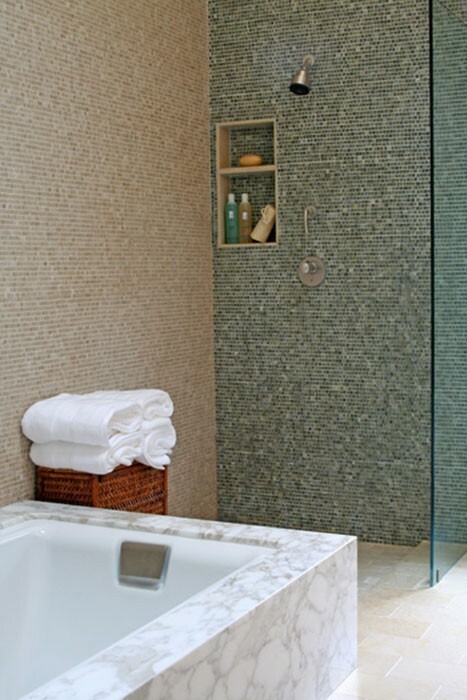 Three twelve-foot limestone mosaic tiled walls are illuminated by the skylight and hover over the open shower and adjacent soaking tub. 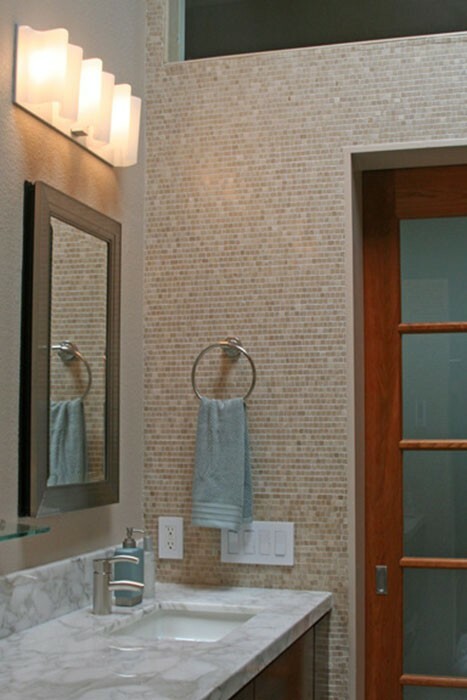 A sliding barn door leads to a dressing area and closet.